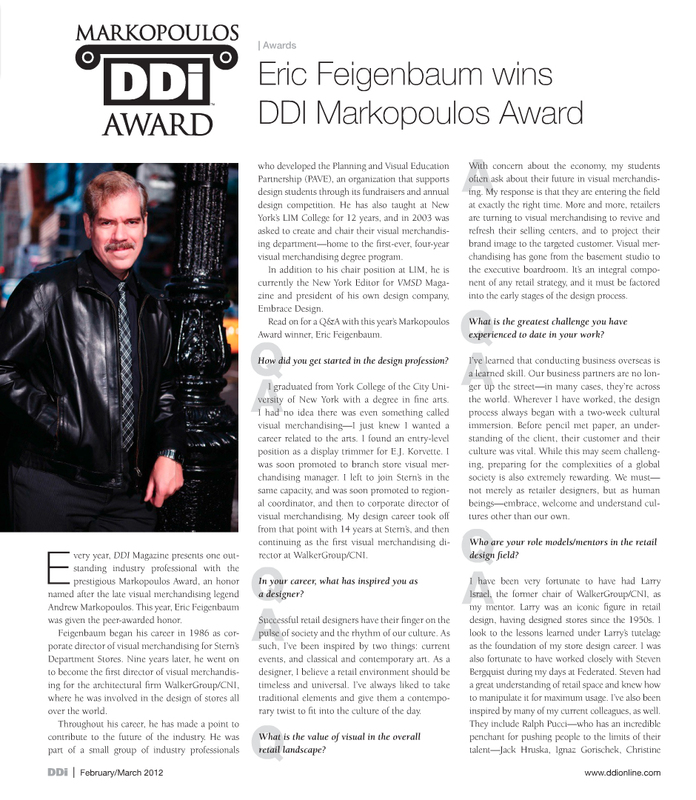 I want to congratulate Eric Feigenbaum on winning the prestigious DDI Markopolous Award. Eric is the Chair of the Visual Merchandising Department at LIM College, and has a distinguished career in visual merchandising and store design. He is also the New York Editor of VMSD Magazine. See my portrait of Eric below and click to enlarge and read the article.